This album comprises eight original songs by Alexander L’Estrange and seven – one recorded in two different versions – by French composer Michel Legrand. Four of L’Estrange’s songs are from his award-winning musical Hello life!, written in collaboration with Michelle Magorian, which tells the story of Beth (originally played by Heather Cairncross), a newly-divorced woman with two children, finding her way back into the world. In the poignant Pack of three Beth explains to a new boyfriend why she can’t go to Paris with him without her children. Hello life!, That was then and On strike are all recorded here in new versions. The four remaining L’Estrange numbers each have a unique provenance: Touch the sky was written for Anita Wardell for a jazz and poetry festival in the Lake District; So says my song was written for Joanna “because she always despairs that she can only write sad songs in minor keys!”; Tea totally is L’Estrange’s light-hearted take on Vincent Youmans’ classic Tea for two; and finally, Legacy of love was written for the funeral of a close friend, Maggie Simmons, who used to host wonderful house parties in Roccatederighi, Tuscany, with guests including The Swingle Singers, Stacey Kent and L’Estranges in the Night. Legrand’s songs have been recorded by many of the greatest singers in the business including Barbra Streisand, Aretha Franklin, Frank Sinatra, Ella Fitzgerald and, more recently, Jamie Cullum. 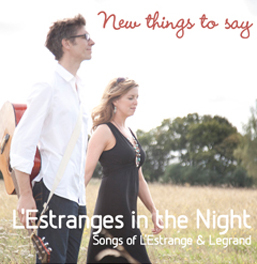 In this the year of Legrand’s 80th birthday, L’Estranges in the Night put their stamp on seven of these much-loved songs with their signature-style multi-layered vocals, often accompanied by only double bass or piano, and with echoes of some of their own musical heroes: Carole King, James Taylor, Bill Evans and Joni Mitchell, as well as close-harmony vocal groups of the past half century. I fell in love with Christiane’s voice when I was about eight, listening to my mother’s collection of early Swingle Singers LPs. I was struck by the purity and apparent effortlessness of her sound; it was unique. 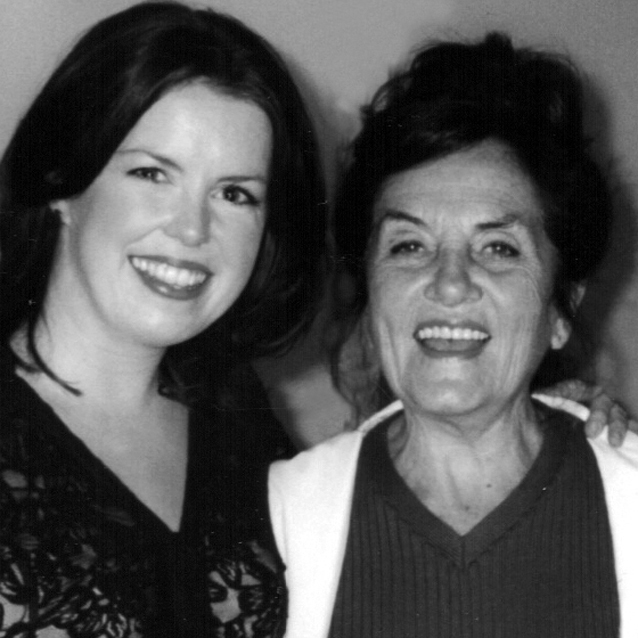 Ten years ago, when I was on tour with The Swingle Singers, Ward (Swingle, founder of the group) brought Christiane to see us perform in Paris and, to my delight, she was wonderful, charming and generous with her praise. It was, without a doubt, a highlight of my seven years in the group. When she died last year, I knew immediately that we should record our favourites of her brother Michel’s songs and dedicate this album to her. We have always loved performing his music and no L’Estranges in the Night set is complete without the beautiful How do you keep the music playing? It also gave us the perfect opportunity to release some of Alexander’s previously unrecorded songs. Christiane, thank you for being my inspiration.